Automatically sync your films with the TicketSource ticketing platform and sell them on your WordPress website. 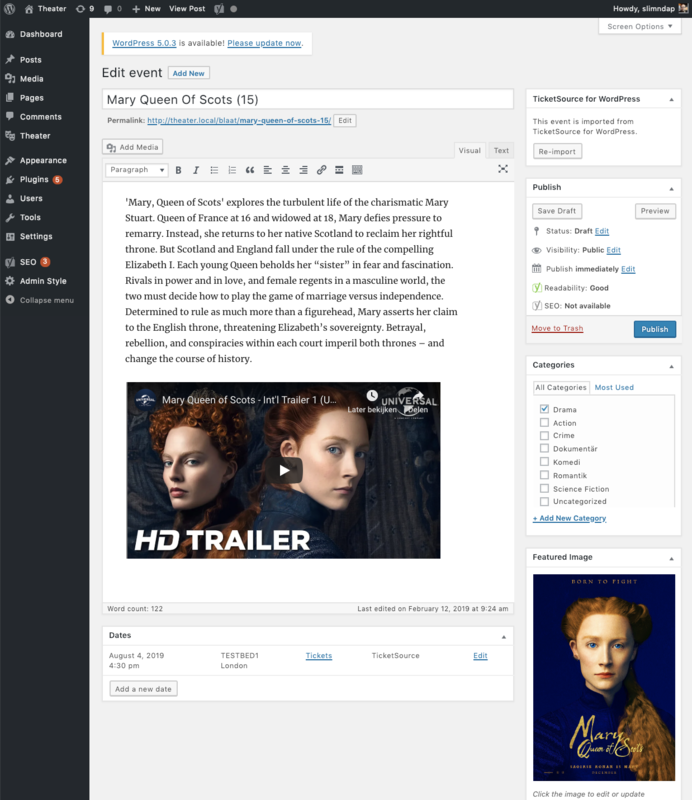 With this extension to the Theater for WordPress plugin your TicketSource events and their promotional information are directly added to your WordPress website. Ticket sales takes place in the online ticket shop of TicketSource. Install the TicketSource for WordPress plugin. Enter your TicketSource API key on the TicketSource tab in the Theater for WordPress settings and choose an interval for synchronisation (eg. 5 minutes). TicketSource is a free, self-service ticketing system that gives users full and instant control of their events online, while fully integrating inhouse bookings and services. Visit their website for more information.